Over the past few years Milan has been revolutionizing its appearance and is currently continuing its architectural transformation into a modern city that is open to the world. 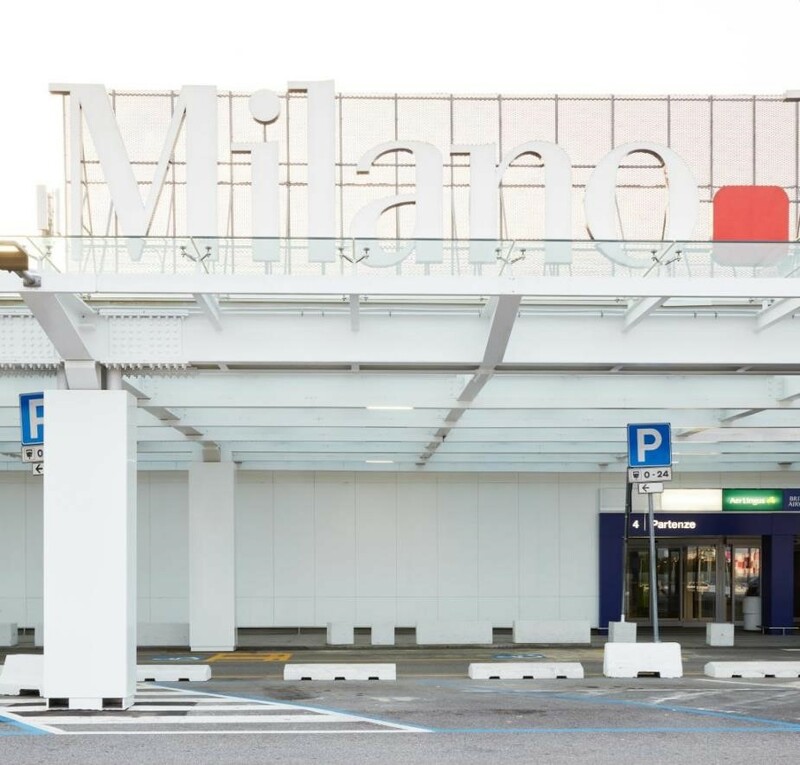 The Milano Linate airport, the fourth busiest airport in Italy and the third in the Lombardy region for passenger traffic, welcomes around 9 million people a year between domestic and short-haul European flights. Over the past few years Milan has been revolutionizing its appearance and is currently continuing its architectural transformation into a modern city that is open to the world. 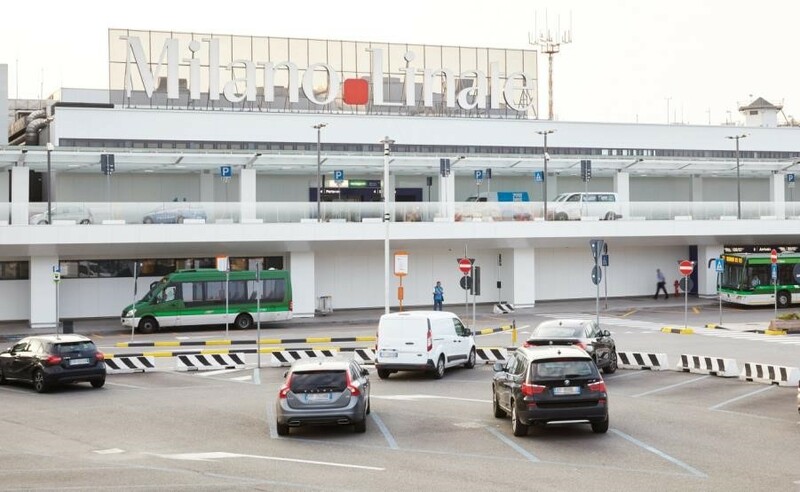 The Milano Linate airport, the fourth busiest airport in Italy and the third in the Lombardy region for passenger traffic, welcomes around 9 million people a year between domestic and short-haul European flights. At less than ten kilometers from the city center, the Milanese airport also represents the city's calling card for arriving passengers. 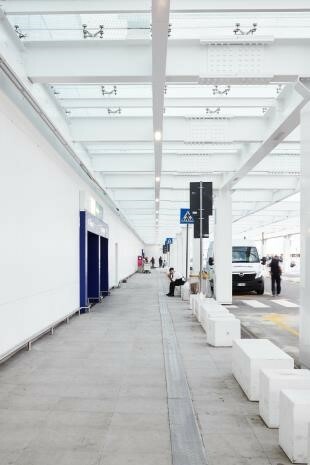 To make this doorway to the city more attractive and efficient, the airport is undergoing a complete restyling and the first phase, focused on the exteriors, has just been completed. 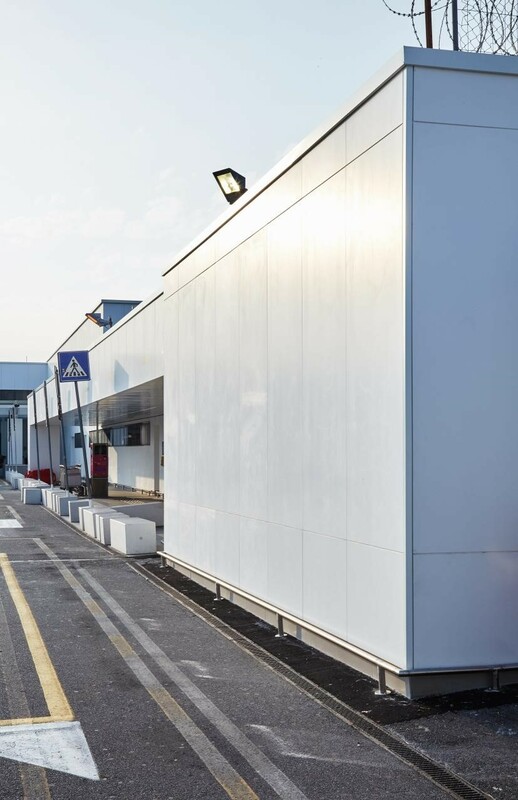 For the renovation, the architects from Studio Cerri & Associati have chosen Corian® Exteriors, a cladding solution based on Corian® Solid Surface, to create an elegant immaculately white facade and give a new minimalist look to Milan’s city airport. 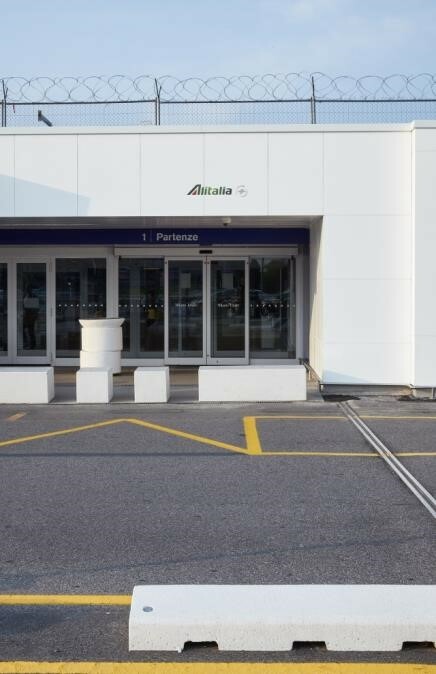 The new exteriors of Milano Linate city airport has been realized with Corian® Exteriors, An innovative cladding solution based on Corian® Solid Surface; project by Studio Cerri & Associati; photo by Filippo Pincolini for Corian® Design, all rights reserved. With its technical and functional qualities, Corian® Exteriors could satisfy various design requirements. Pure white panels have been used to create an elegant, streamlined style of architecture that also makes it easier for users to see the signage. The Glacier White colour of the panels made in Corian® Solid Surface absorbs, reflects or diffuses natural light, changing the visual perceptions of the façade. Thanks to its homogeneity, resistance and versatility, Corian® Solid Surface is particularly suitable for the external cladding of contemporary buildings as it allows for the creation of complex shapes without the weight and costs of traditional or conventional materials. "The façade has been leveled out and its constructive elements reorganized using a cladding system that allows for the application of panels in Corian® Solid Surface on the external surface of the building. The material is thermoformable, has excellent resistance to climatic aggression and fire, is easy to maintain and is resistant to acts of vandalism" says architect Pieluigi Cerri from Studio Cerri & Associati. The panels in Corian® Solid Surface, approximately 1,800 square meters, were manufactured and installed by the company Sistema Tetto in Chiusano di San Domenico, Avellino. Corian® Solid Surface was applied to walls, soffits and intrados. Its inherent versatility allowed to incorporate new ribbon window frames for the office floor and to create flush doors for access to some of the technical rooms. The panels are fixed to the existing walls with an invisible system provided by the company Etanco. This system, in addition to forming a space for the natural circulation of air in a ventilated façade, has also allowed for the alignment on the three axes of the solid surface. The non-porous surface of the Corian® Exteriors solution based on Corian® Solid Surface provides low moisture absorption and a high resistance to stains, environmental pollutants, moisture and freezing / thawing conditions. This innovative exterior surface is also UV-resistant and does not fade over time, ensuring long-lasting aesthetics and simultaneously contributing to energy efficiency and therefore the sustainability of the buildings. On the upper level, a projecting roof consisting of a glazed metallic structure protects the departure floor and serves as a filter against infrared rays and greenhouse gases, while providing complete daylight brightness to the area. The transparence and the reduced visual encumbrance of the new roof enhance the design of the new façade made with Corian® Exteriors panels. 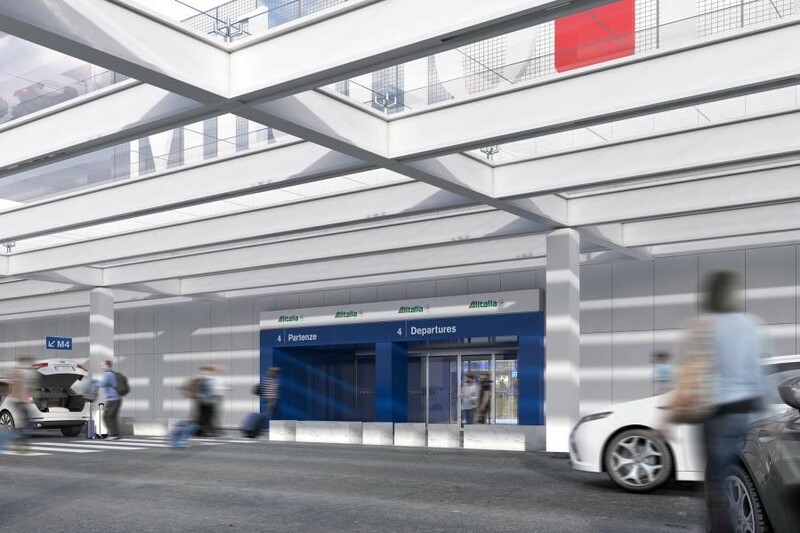 The recently completed first phase of the renovation of Milano Linate airport also involved the arrivals area, the baggage claim area and the new 400-square-meter Leonardo VIP lounge. 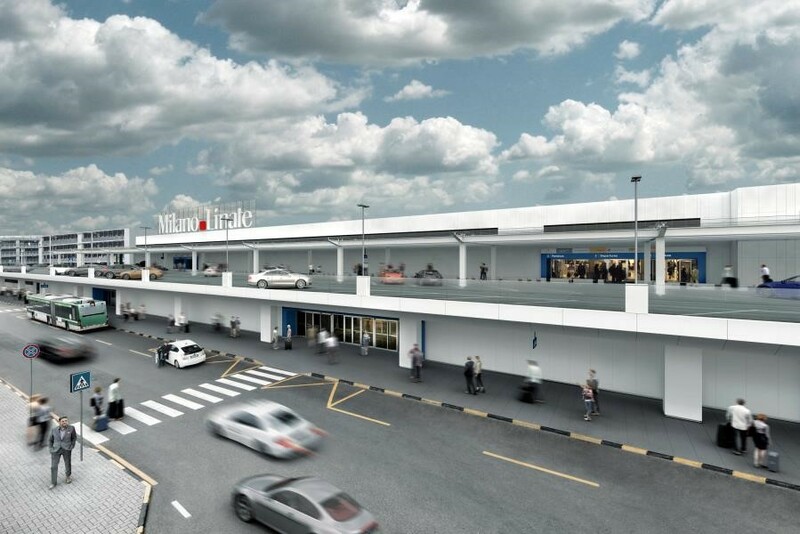 The entire refurbishment of the airport, including the interior spaces, is expected to be finished by 2020.